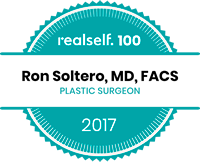 Dr. Soltero works with reputable financing companies to help you attain your cosmetic plastic surgery goals. He is pleased to offer our patients financing through CareCredit and Alpheon Credit Healthcare Lending. CareCredit is a flexible patient/client payment program, specifically designed for healthcare expenses, that makes it easier for you to get the treatment or procedures you want and need. If you qualify, CareCredit lets you begin your treatment or procedure immediately—then pay for it over time with low monthly payments that are easy to fit into your monthly budget. Click here to use their payment calculator. CareCredit offers a full range of Extended Payment Plans for treatment fees up to $25,000. With CareCredit, you pay no up-front costs, no pre-payment penalties and no annual fees. Plus, CareCredit is a revolving credit line for additional treatment or add-on charges, without the need to re-apply. Click here to apply now or read the terms and conditions. ALPHAEON CREDIT CARD Accounts are offered by Comenity Capital Bank, which determines qualifications for credit and promotion eligibility. Payment Plans for treatment fees up to $25,000. Payment Plans. If you qualify,with ALPHAEON CREDIT you pay no up-front costs, no pre-payment penalties and no annual fees. Plus ALPHAEON CREDIT is a revolving credit line for additional treatment or add-on charges, without the need to re-apply. Click here to apply now or read the terms and conditions. We are happy to assist you with your application in person or simply click on the links below to get started. Prices are only estimates and will vary depending on each individual patient. 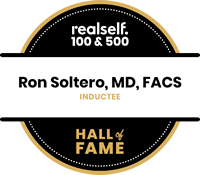 Prices include: Surgeon’s fee, Pre-op and Post-operative care, Operating room fees, Anesthesia (Board Certified Physician Anesthesiologist), Supplies (Implants, garments, bras).